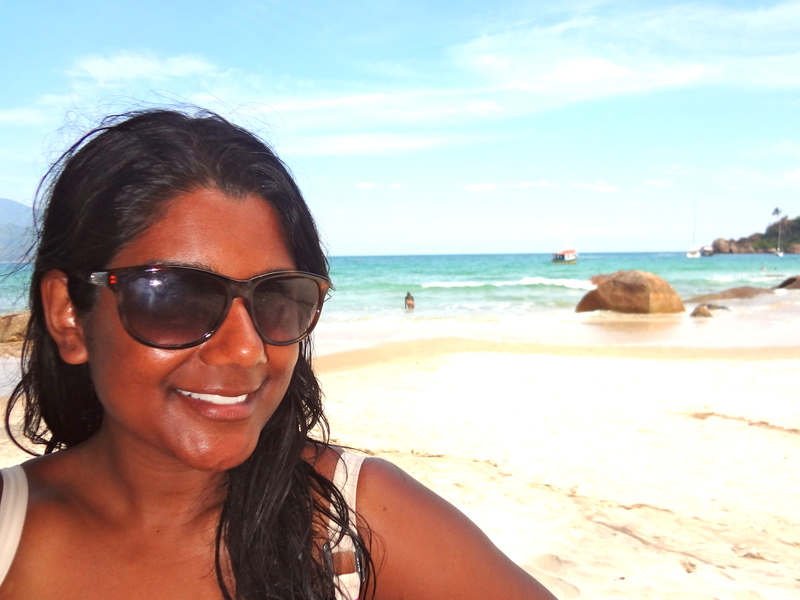 By this point in the trip, you’d think I would have become sick of beaches. 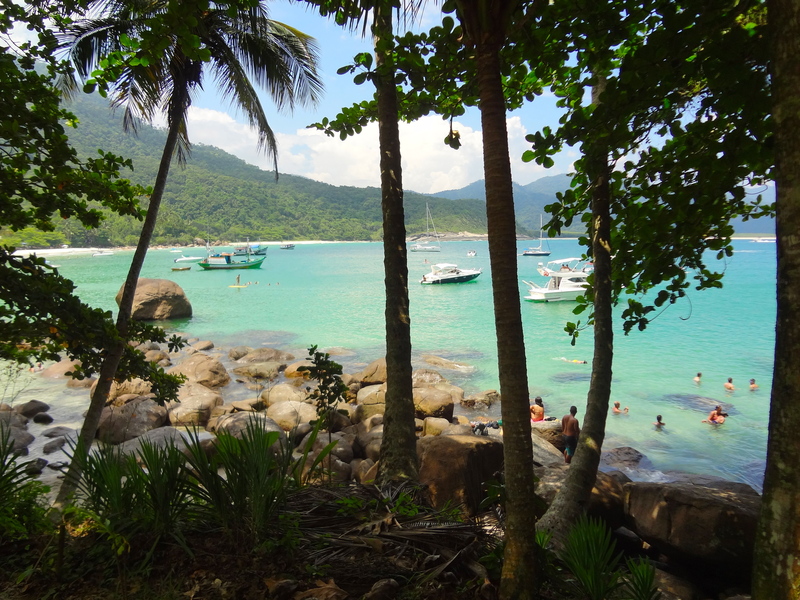 But alas, there was one more on my list: the elusive Aventureiro, far off on the Southwest corner of Ilha Grande. 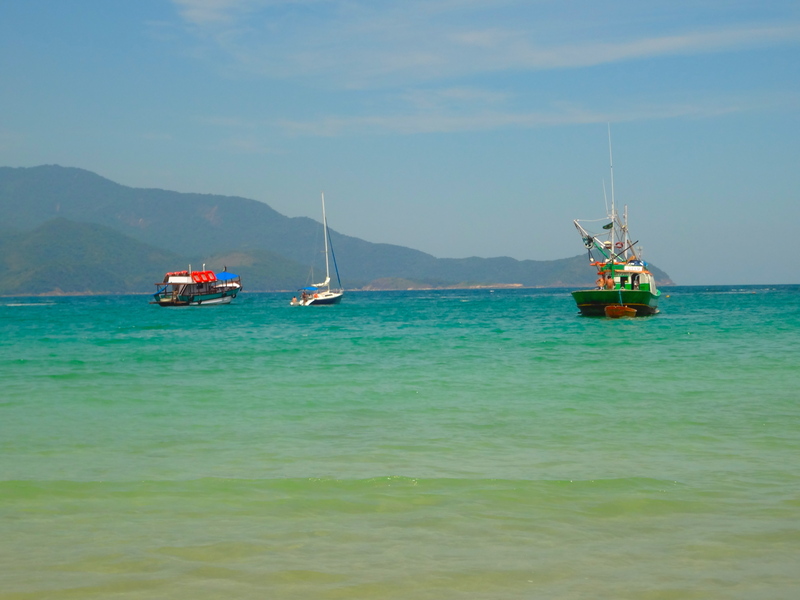 Due to it’s remote location (one of the furthest points from Abraao), the majority of tour boats didn’t venture that distance, and it was just too far for a private water taxi. 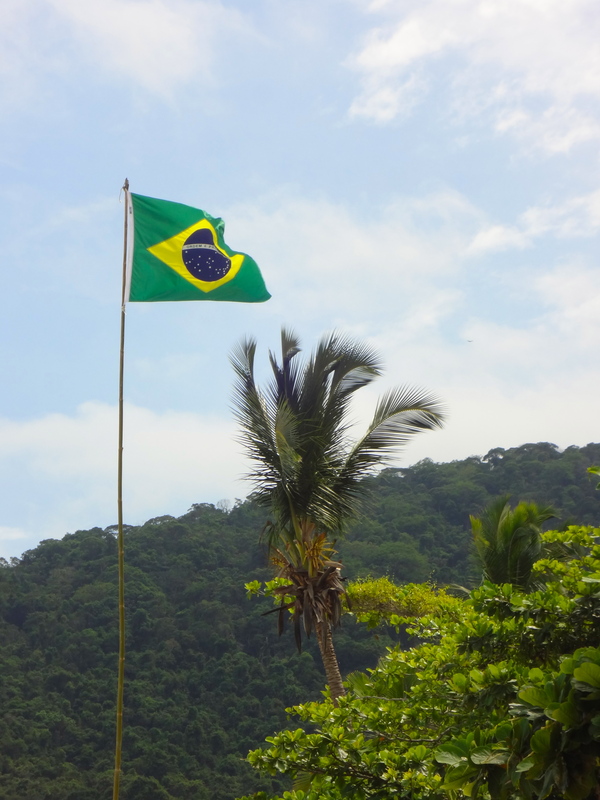 However, as luck would have it, there was a tour operator set up directly outside of the hostel who was running a boat that stopped at three beaches, including Aventureiro. Elisa was catching the ferry back to the mainland that day, but Ryan (who spent the previous day hiking) was game for a beach day. So off we went! This time our vessel was much larger, and held about 100 passengers. On the plus side, it was completely covered overhead (much needed shade), and there was also a bar onboard. To make things more interesting, the boat featured a plank (as in “Arrrgg, walk the plank!”) and a waterslide, which of course we tried out! In addition to Aventureiro, we also stopped at Parnaioca and Meros. 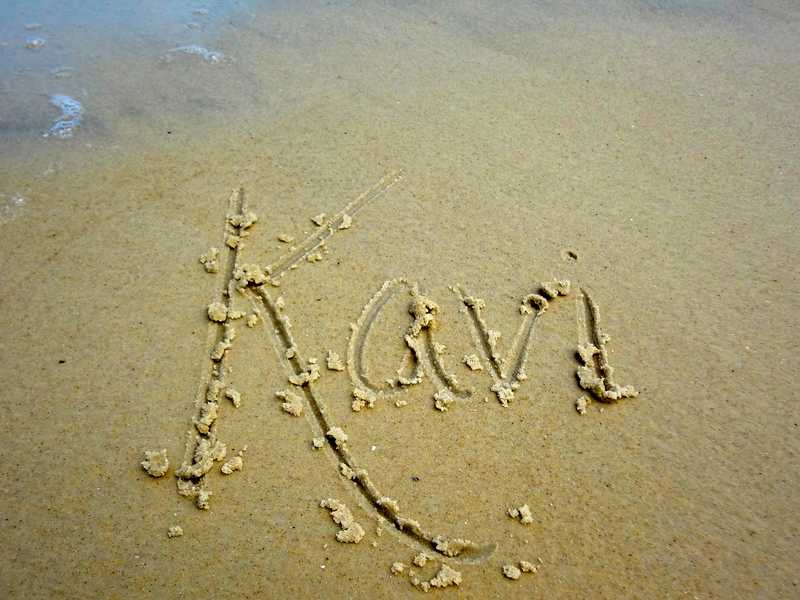 These other two beaches were absolutely stunning. 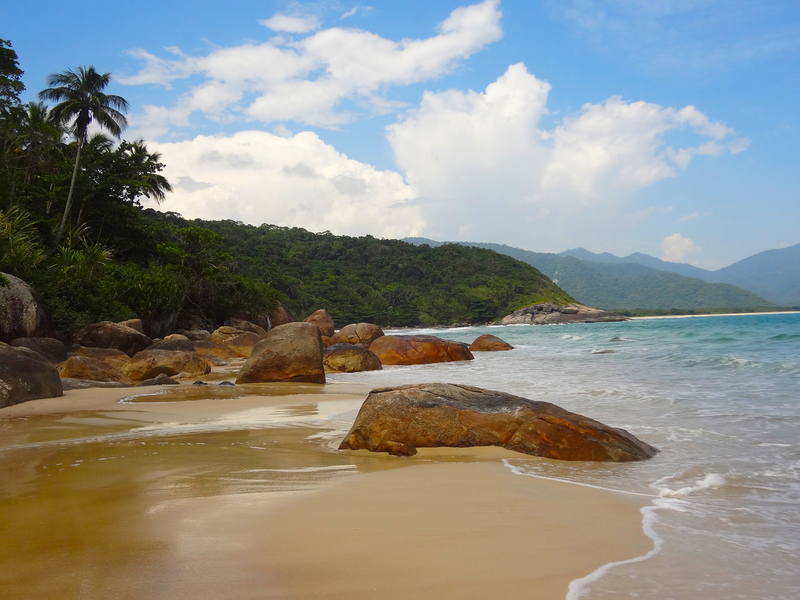 In fact, I would probably list them 2nd and 3rd on my list of the best beaches on Ilha Grande. The advantage all three of these beaches have is that they’re less crowded and therefore more serene than the others. My favorite memory of Parnaioca was that before the boat even anchored, the four Danish guys sitting next to us bolted and starting jumping off the boat one by one into the sea! Naturally, several others followed suit. Meros seemed to be where all the cool people with yachts were hanging out. Note to self: buy a yacht! On the plus side, the yacht closest to us was blasting fun dance music. They played “Timber” by Ke$ha and Pitbull, which basically made my day. But the main point of this post is to gush about Aventureiro. 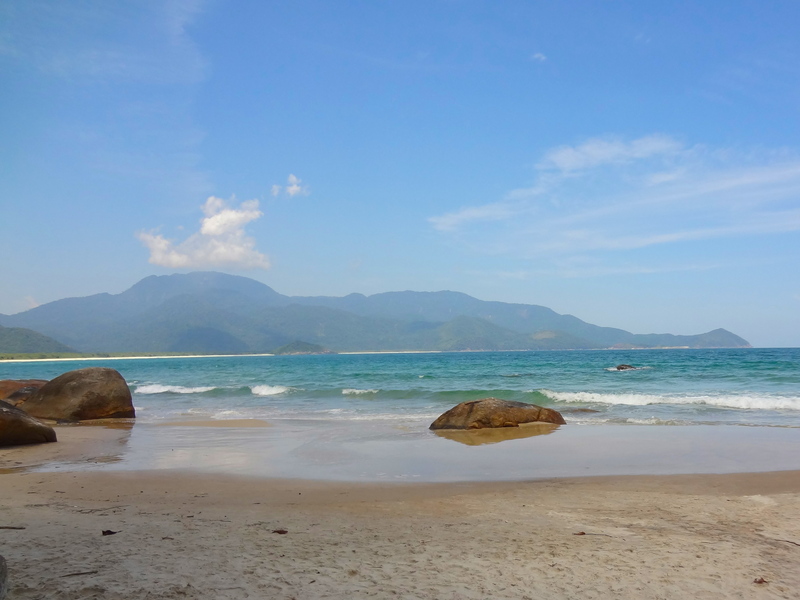 As we got closer to beach, I knew all the hype about Aventureiro was spot-on; it’s basically the beach we all dream of when someone says “tropical paradise.” Not only was it gorgeous, but it seemed to have a little something for everyone. You’re first greeted by the most-picturesque pool ever – with a perfectly photogenic bent palm tree to boot! Phototropism in action (isn’t science awesome?!). Now the funny story behind this photo is that there was a group of four teenagers taking photos here when we arrived. At first, I politely waited to take my picture, but Ryan commented that they’d likely be there forever so we should just take our photos and move on. He was correct; they not only continued to take photos (in every pose imaginable) for the entire time we were in the water, but they were still shooting over an hour later when we headed back to the boat! In comparison, my photo is probably a bit boring; I should have asked them for some tips! After the pool we walked along the stretch of beach, which was just beautiful. 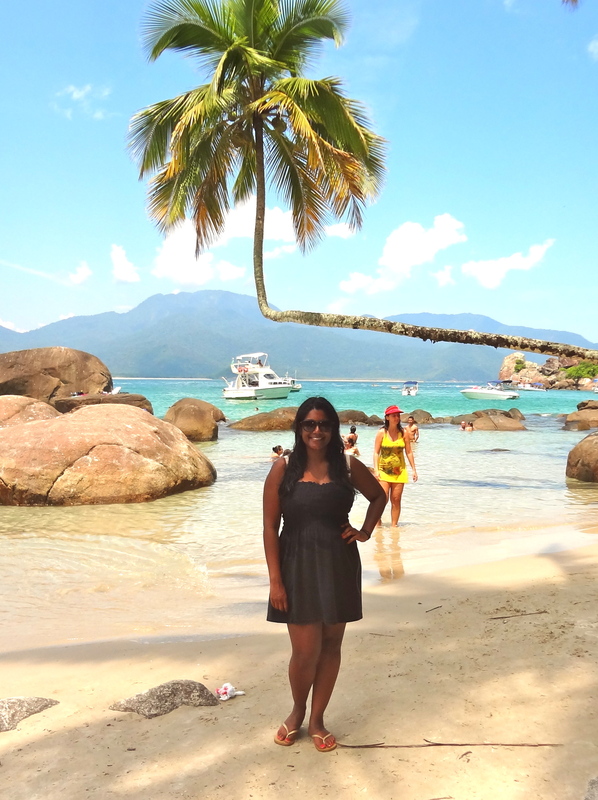 I couldn’t get over the all of the gorgeous colors in the water… turquoise, aqua, and every shade of blue imaginable. 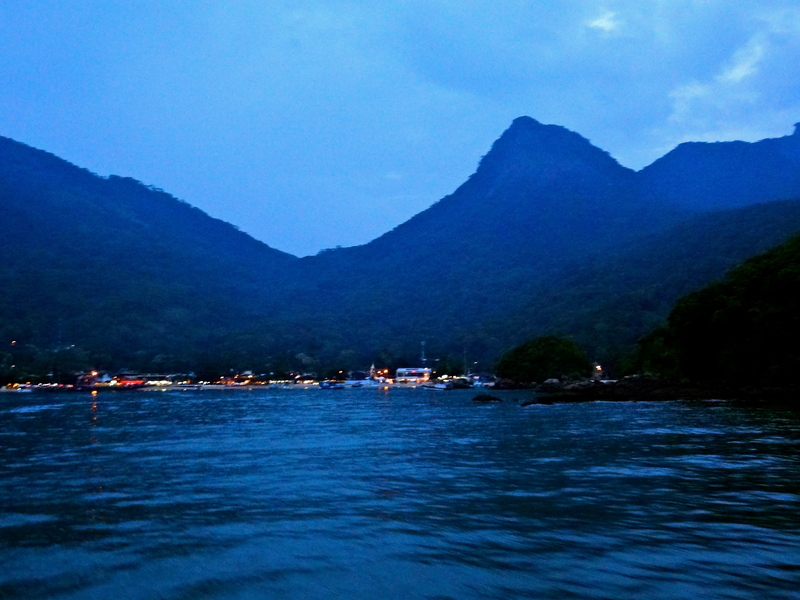 Since we traveled to the complete opposite side of the island from Abraao, and we were on a larger/slower boat, it really ended up being an all day tour, and it was dark by the time we returned. Our last night on the island!